Offering you a complete choice of products which include stainless steel pressed components, non metal stampings, sheet metal cap, precision pressed components and mild steel components. We are among the acclaimed names in the industry for manufacturing and supplying Stainless Steel Pressed Components. The offered components are exceptional in terms of quality and made from high-grade stainless steel. These components are resistant to corrosion and are dimensionally accurate. They find wide usage in the machines of automobile and electrical industries. We are instrumental in manufacturing and supplying Back Light Stampings for our revered patrons. 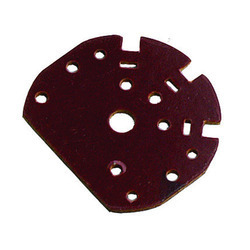 The offered stampings are widely used in the electrical industry for fabrication of electrical parts. The offered stampings are made from high-grade material and enable hassle-free operation for the instruments. These stampings are exceptional in terms of surface finish and can be supplied in bulk. Looking for Stainless Steel Pressed Components ?